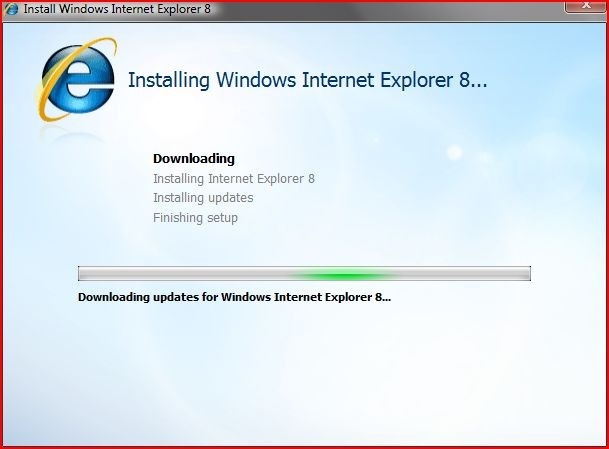 I’ve been following IE beta program since it’s first public release (beta 1) so when I’ve read a few minutes ago that IE8 beta 2 has been released for public testing I’ve download it and installed it. Installation completed without any problems and IE8 was up and running in a few minutes. Keeps Internet Explorer 8 from adding any sites you visit to Browsing History. Allows you to keep up with changes to the sites you care about most. Once you add a Web Slice to IE8, you won’t have to go back to the same website again to get updates. Accelerators let you complete your everyday browsing activities more quickly and even discover new services by mapping, translating, emailing, and more in just a few mouse clicks. Allows you to search smarter with detailed suggestions from your favorite search providers and browsing history and see visual previews and get suggested content topics while you type in the enhanced Instant Search Box. New security features help to protect you against deceptive and malicious websites which can compromise your data, privacy, and identity. Internet Explorer 8’s built-in Compatibility View button enables you to display websites that were designed for older browsers. Simply press the Compatibility View button if you see display problems on a website like misaligned text, images, or text boxes. It’s located next to the Refresh button on the Address Bar.